Inca Trail to Machu Pichu Trek Cuzco – Incas Land Peru. The Inca Trail is by far the most famous trek in South America and is rated by many to be in the top 5 treks in the world. The Inca Trail to Machu Picchu, is one the most popular trek in the Andes, Peru and the the world. 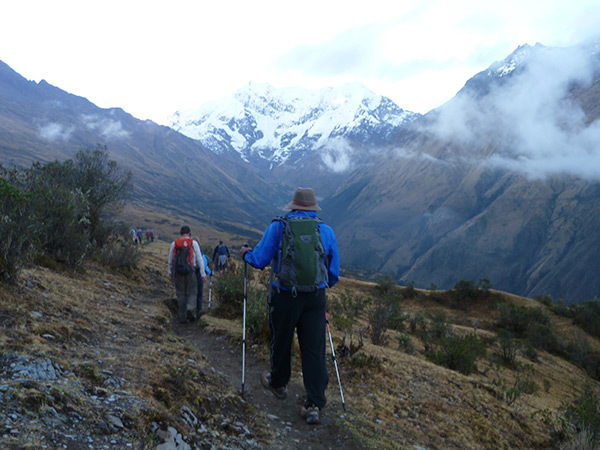 What makes inca trail trek so special is, its richness biodiversity, the stone made trail, the archaeological sites along the inca trail, unforgettable views, snowy mountains, cloud forests and the natural beauty of the inca trail to machu picchu. The trail has exotic vegetation including more than 300 varieties of Orchids. the inca trail presents extraordinary ecological variety, and machu picchu itself cannot be fully understood without the experience of the inca trail trek. Its principle sites are ceremonial in and multifunctional character, in ascending hierarchical order as you near the city. Since 2002 new regulations and restrictions have taken place in order to protect the Inca trail and its natural environment, to improve quality standards in the tours, and to improve working conditions of the porters. Among the changes is the reduction of the number of people on the trail to 500 per day (roughly 200 tourists plus 300 guides, cooks and porters). 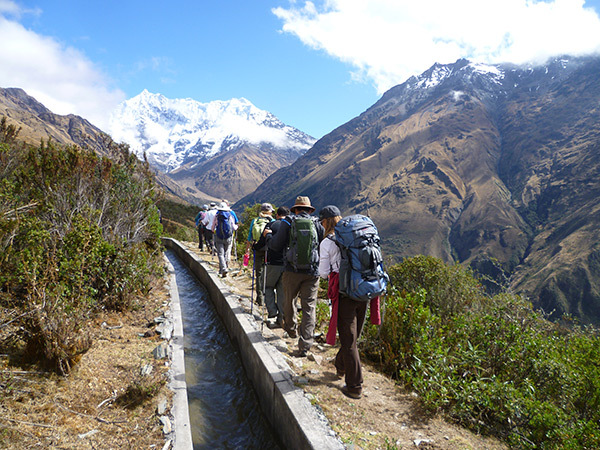 Thereby the Inca trail permits are on high demand especially for the high season (between May and September). After breakfast in the Hotel in Lima, passengers will be transferred to the Airport in Lima, around 7am, to take the morning flight to Cusco, then after one hour flight we will arrive to Cusco around 11am, then the group will be transferred to the selected hotel for the accommodation then, the group will have lunch and in the afternoon they will start the city tour visiting Cusco around. Cusco is located in the Andean area in the south side of Peru at (3399m/11148ft). During the tour we will visit the Temple of the Sun Coricancha, The Cathedral, The Main Square, the ruins of Sacsayhuaman, the ruins of Kenko, the ruins of Pucapucara and the ruins of Tambomachay, then at appropriate time dinner and overnight at hotel in Cusco. Early in the morning at 6am the bus will pick the passengers up from their hotel, in a tourist Bus and then travel to the site of Km 88 (Piscacucho) passing through the sacred valley of the Incas and the cities of Urubamba and Ollanataytambo, Optional Breakfast in Urubamba. In the Km 88 Piscacucho starts the trekking passing by the hanging bridge over the Urubamba river, after one our trekking passengers will have lunch in Miskay view of the Llactapata Inca’s city, after we will pass the Cusichaca river Urubamba’s river affluent, after 3 hours hiking we’ll get the Huayllabamba where we will camp at (3000m/9840ft). After the breakfast in the camp site we will leave early in the morning at 7:00am aproximately, the passengers will start hiking up to the Warmiwañuska (dead woman) pass (4200m) aAfter the pass we will descent to Pacaymayu for to camp. Early in the morning after our typical breakfast we will start hiking, to Runkurakay. A beautiful view is the first that the clients will enjoy after to wake up, it will persuade to continue our enjoyable trekking to Machupicchu, this day passengers will walk the original Inka trail getting us to the beautiful forest, from here we will appreciate Mountains, if luck passengers will see Panda bear and Puma. The sacred watchman’s from this sanctuary. We will know the Archaeological group of Sayacmarca, Conchamarca, Puyupatamarca, until to get Wiñayhuayna our last camp at (2650m/8692ft). This day the guide will wake us up very early at 4am approx, then after breakfast to start our last day of trekking, waking up very early is for to get Intipunku in the sunrise time, so from here we can Appreciate how the sun reflects the entire Machupicchu Ruins, the guide will explain that it was sacred hour to worship the sun each day in the sunrise. 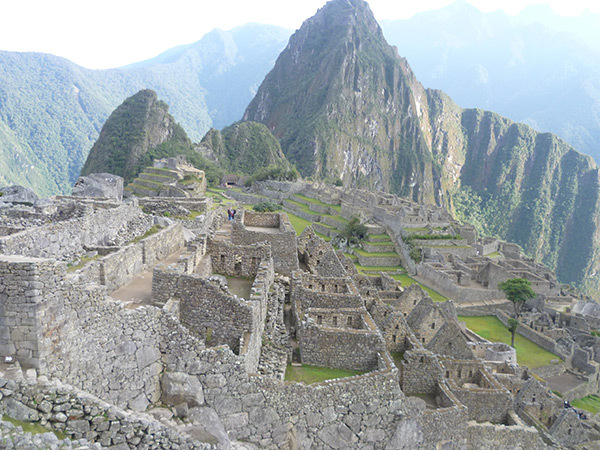 To get Machupicchu passengers will walk fro only 2 hours to arrive to Machupicchu. We will visit the Inca Empire city with a help of the guide during the morning, then after it the bus will take the passengers to the Aguas Calients (hot springs) after Lunch in this Village we will Aboard the Train to Cusco, arriving approx at 7 – 8 pm. This day you will flight back to Lima in the afternoon, our private transport will picks up you 2 hours before from your hotel and then transport to the airport in Cusco, you have to be there 1 hour and half before minimum for your checking, the flight takes 1 hours and 10 minutes to Lima, arriving to Lima our private transport will be waiting for you to then transport to the hotel. Train ticket back to Ollantaytambo. 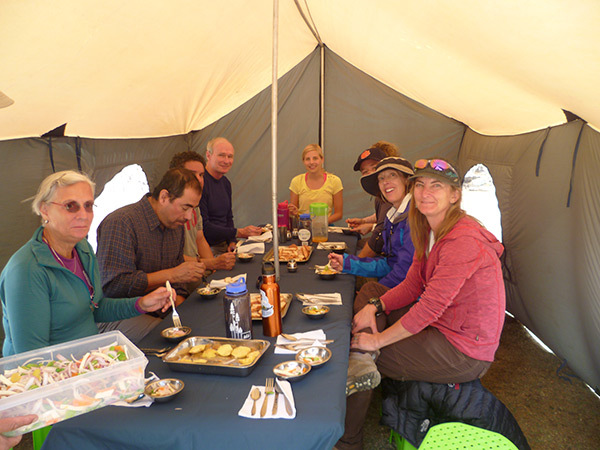 Complete meals during inka trail trek, breakfast, lunch and dinner. Personal camping equipment such as tents.